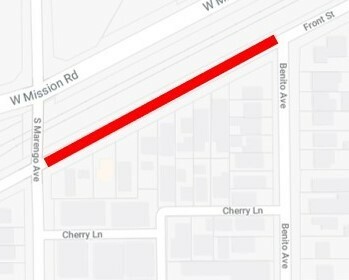 To perform this pipeline inspection safely, traffic on Front Street between Marengo Avenue and Benito Avenue in Alhambra will be reduced to one lane. Lanes will be reduced from 7:00 a.m. to 7:00 p.m., Monday through Friday, from approximately August 27 through November 2018. Traffic control signs and cones will help direct the flow of traffic. There will be parking restrictions on Front Street in Alhambra around the construction site. No interruption to natural gas service is anticipated. Customers with questions or concerns about the construction work may call SoCalGas’ Customer Contact Center 24-hours a day, seven-days a week at 800-427-2200.